A thirty-nine-foot banner was unfurled in the rotunda of a sparsely-attended Guggenheim Museum this evening, the latest action carried out by the Gulf Ultra Luxury Front (G.U.L.F.) activist group. 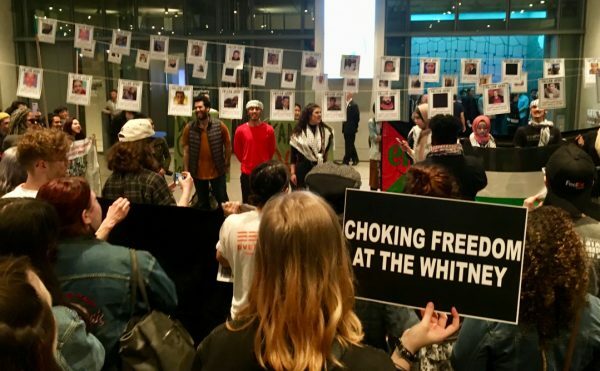 Decrying labor abuse at the museum’s planned Abu Dhabi outpost, the banner announced the forthcoming “Countdown” campaign by Gulf Labor, the larger collective of artists and activists of which G.U.L.F. is an offshoot. 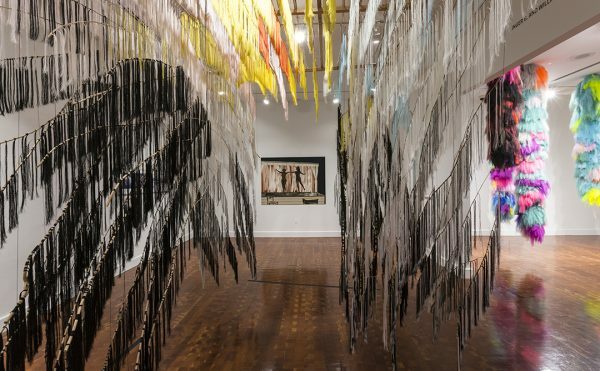 “Countdown,” according to Gulf Labor, will consist of a series of direct actions, and follows the recently concluded “52 Weeks” campaign that saw individuals and collectives weigh in on the labor issue, with contributions from such artists as Hans Haacke, Thomas Hirschhorn, and Andrea Fraser. 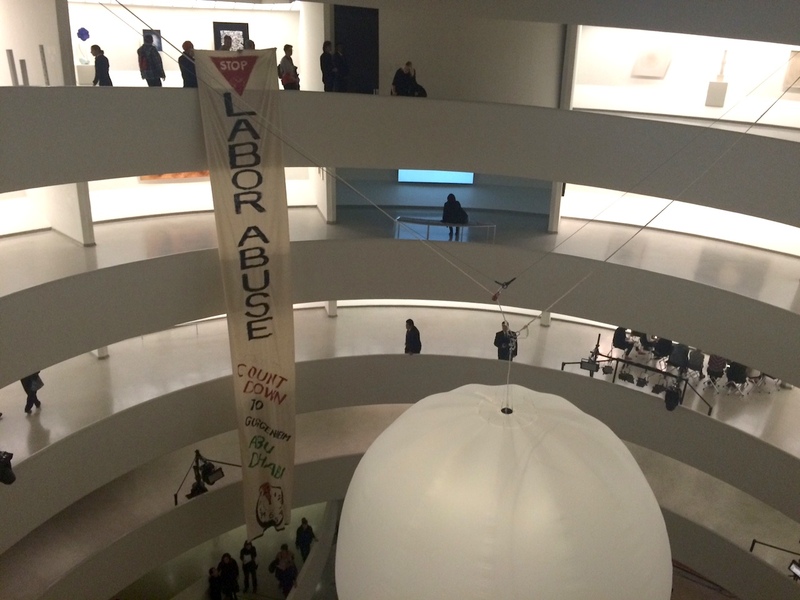 The banner, reading “Stop Labor Abuse / Countdown to Guggenheim Abu Dhabi,” was brought into the museum hidden inside a baby stroller, and one G.U.L.F. member arrived in light disguise to avoid detection by the Guggenheim’s guards. Held aloft from the rotunda’s upper tier for several minutes, the sheet was torn down from below by two male guards. At one point a female guard approached the pair holding the banner, asking them if this was part of the current Zero: Countdown to Tomorrow, 1950s–60s exhibition, to which they replied it was. That guard then walked away. Though the banner was confiscated, all involved G.U.L.F. members left the museum without incident. The unannounced action precedes a protest planned for tomorrow’s International Gala at the museum; the $75,000-a-table fundraiser, sponsored by fashion brand Christian Dior, benefits the institution’s global efforts. To that end, the banner joined another temporary, albeit official, intervention in the rotunda — Otto Piene’s “White Balloon,” designed by the artist before his death this summer and installed for three days on the occasion of the International Gala and tonight’s Young Collectors Council party. Preparations for the latter were well under way by the time the banner was displayed a little after 5pm ET, and entry to the museum was free. Officially and publicly recommend that the UAE Ministry of Labor intervene ASAP to monitor and enforce UAE laws on Saadiyat Island. Clearly, abuses are ongoing. The Guggenheim knows this, and for some reason, has yet to decide that addressing labor abuses in the building of their museum in the UAE must be their most urgent priority. The Guggenheim has leverage to affect positive change in labor practices. They should use it. I am certain they have willing partners in the UAE Ministry of Labor. Officially and publicly recommend that the UAE Ministry of Labor seek and follow the advice of experts from, for example, the International Labor Organization, to help the Ministry fine-tune the implementation and enforcement of existing laws, close loopholes in the law, and develop and implement new laws to protect workers (with regards to, for example, recruitment fees paid by workers). 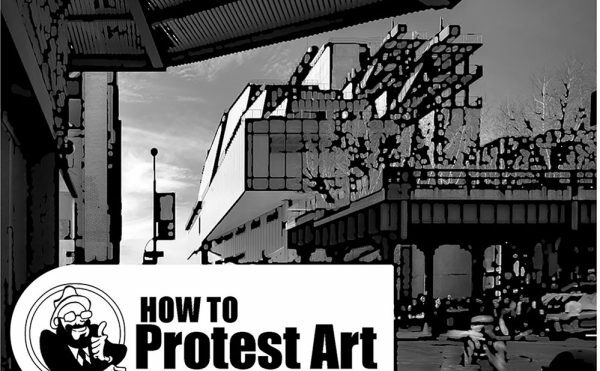 Reached by email, the Guggenheim declined to comment on the action and declined to respond to Raad’s comments.